Armagh defender Aaron Kernan could miss the Ulster SFC quarter-final against Cavan on 8 June at the Athletic Grounds after suffering a torn hamstring. 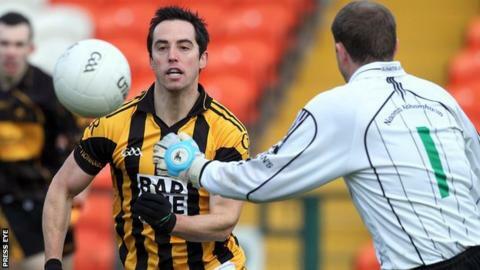 The Crossmaglen player sustained the injury on Sunday, in his second club game following an injury lay-off. Kernan missed Crossmaglen's Ulster club campaign and the Football League with Armagh as he took an extended break to avoid serious Achilles damage. The half-back's absence would be a major blow for the Orchard county. Armagh manager Paul Grimley has brought five new players into the squad for June's meeting with Cavan.